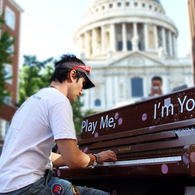 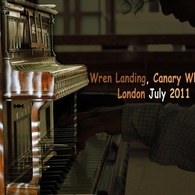 Touring internationally since 2008, “Play Me, I’m Yours” is an artwork by artist Luke Jerram. 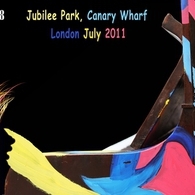 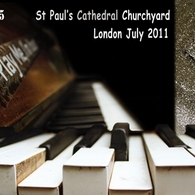 Presented by the City of London Festival in 2009, 2010 and 2011. 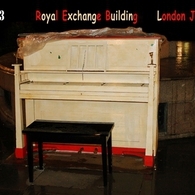 From Monday 27 June to Sunday 17 July, twenty pianos were installed on London’s streets, squares, parks and gardens for the population to plink and pore over for the three weeks of the City of London Festival. 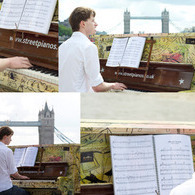 Local artists gave the Street Pianos a special makeover this year, with some highly characterful and clever artwork connecting with the Festival’s focus on Australia, New Zealand and the South Pacific. 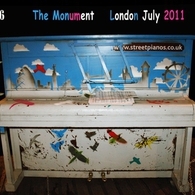 Clusters of Festival Street Pianos were brought together to ring out Grainger’s best known works for multiple players in this promenade performance. 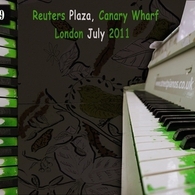 Helen Reid directed gifted pianists of the Guildhall School of Music & Drama and the Centre for Young Musicians in this fun and frolicsome tribute to Australia’s quirkiest composer, including a Country Gardens finale. 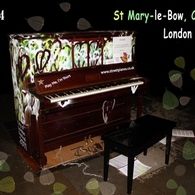 Meeting point at Peter’s Hill on the north side of the Millennium Bridge.